IN THE HOT DESERT of golden sand, he realized a dream kept hidden for three thousand years. 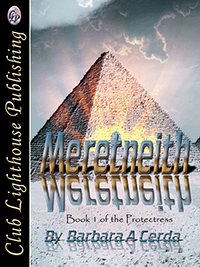 Merneptah was crowned and accepted as the new Protector of the tribes. Like the surging Nile, his life’s purpose flowed to this moment…this glorious day of Ascension and of realization. He was proclaimed the Ptah a’ Tanen before all. Not in over 225,000 years had such a thing occurred? He recalled years living in old Kemet as a boy. His usurped role as a pharaoh was merely a place to learn what to expect in governing humanity. A child of 300 years, he was already leading legions. The god Ba’al prepared him for the coming climax of the Precession, a time of realization of universal Ma’at. The blending of his ancient tribe with that of the humans would come in the next two thousand years. Nevertheless, he was now the Ptah a’ Tanen – the father of all gods. During the weeklong ceremonies, he also proclaimed his love for a human female. This freed him from the traditions that claimed his life. 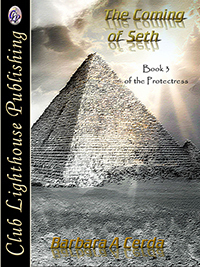 Announcing to all that Aisha would be his chosen mate, his sanctuary, punctuated a perfect day. Walking the gardens of their home, he wanted this night to stretch forever. He let the stone paved path lead him onto the beaches of Lake Al Faiyum. Turning he looked up at the window of their bedroom. She waited for him. Her body heated with passion as hot as the sand beneath his bare feet. He thought of the long languid nights as a boy listening to lovers expressing their passion in the cool evenings along the Nile. Merneptah wondered then what love was like and if he would ever feel such joy. His thoughts drifted to the moments sitting with the god Ba’al learning of the Precession and his coming roles. He walked corridors filled with stories of his tribal ancestry brought to life in stark relief in colour and stone. Only Ba’al knew the power that lay in his future. He shared with the young Merneptah only what he needed to know in those times. In this time as a new Protector, Merneptah understood that there would be many hardships and joys ahead as the first Ptah a’ Tanen. Pausing to peer up at the full moon and to appreciate this moment of quiet serenity – Merneptah offered up thanks to the long line of Protectors that had preceded him. He was beginning to understand with each passing day the brilliant strategy of his grandmother Asherah and her companion Teacher the god Ba’al. The plan for the emergence of the new race had begun long before her birth, yet she continued through faith and the work. 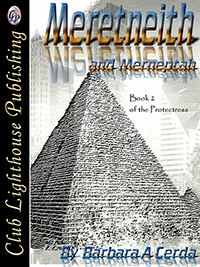 To the extent of using her daughter Meretneith – his mother and great Protectress to insure that, tribal tradition would end with her male child. Never in his life did he understand such a sense of fulfillment and joy. He turned to run back to the house. It was time to claim his new love.